Keep ice chilled—and, more importantly, solid—without condensation. 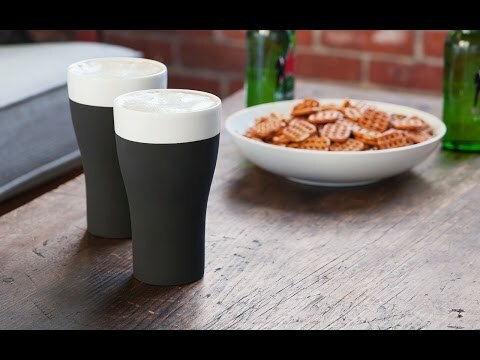 This naturally cooling ceramic ice bucket has a porous surface that absorbs water, leaving the outside dry. 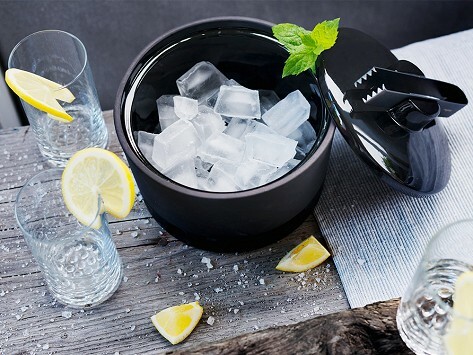 Submerge the bucket in cool water to activate the natural cooling properties, and keep ice cubes chilled for hours. The matte surface is sophisticated and even acts as a chalkboard if you wish to write on it. Dimensions: 6.7" x 6.7" x 5.5"
Small ... out of the way ... kept ice cold all night. Perfect for a small cocktail party.